Would you like to cameo as an alien in an upcoming Star Trek movie? Step one: Acquire several billion dollars. Apparently the movie cameo comes free of charge. Seeing as the role was mainly “standing in the background and not calling unnecessary attention to himself” I’m not sure how high the difficulty of the performance was, but whatever. More power to him. Honestly, if I had this much money and clout, I’d do the exact same thing for Star Wars. Hell, I’d happily buy myself a walk-on role in a Star Wars movie if I could. 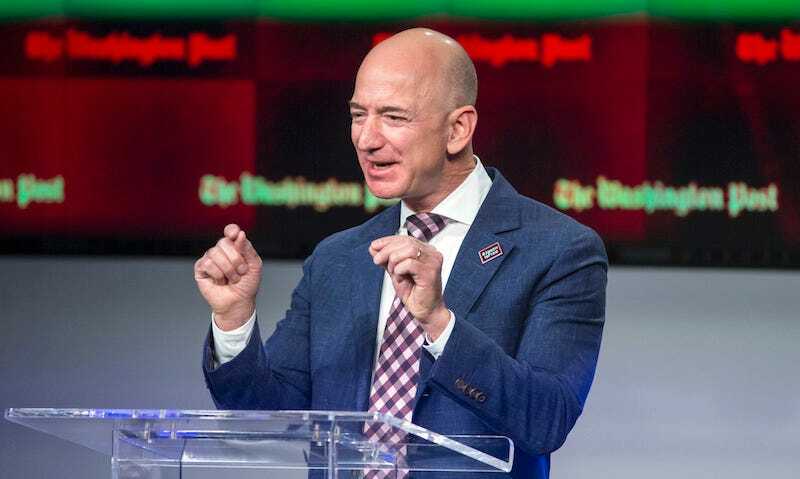 I’ll give kudos to Bezos for having the restraint to content himself with being a background alien instead of surreptitiously handing over million dollar bills or gold krugerrands or whatever until he’s appointed Grand Admiral of Starfleet.